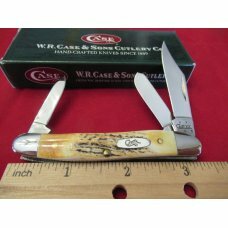 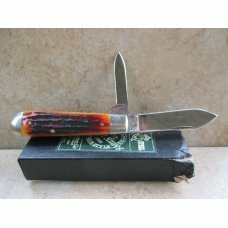 Queen City Equal End Pocket Knife 3 5/8" circa 1933-40 - Pen blade broken. 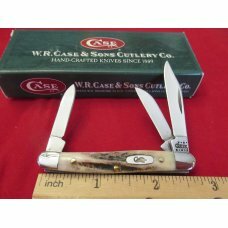 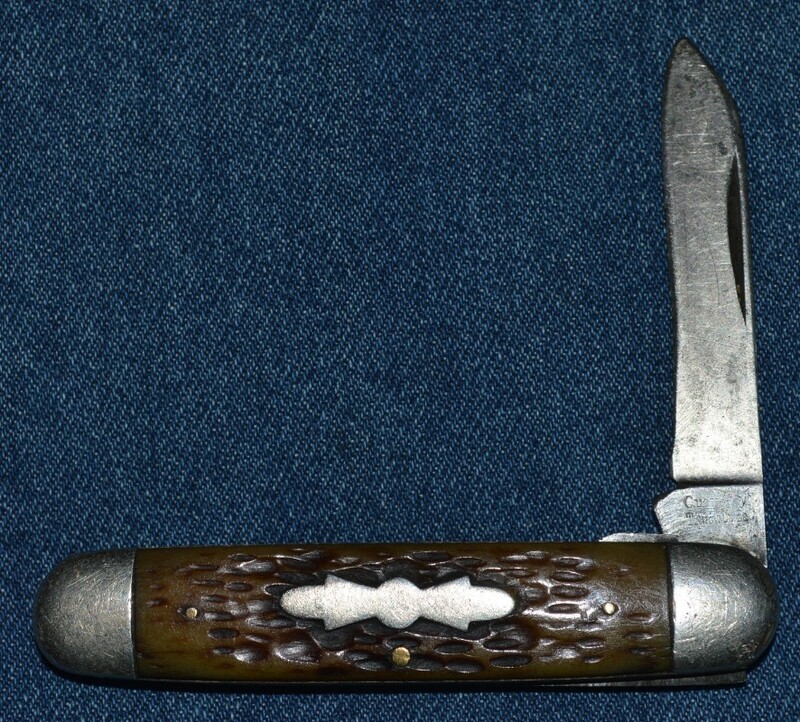 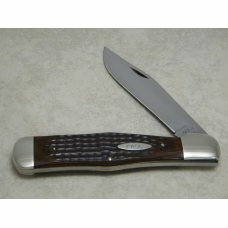 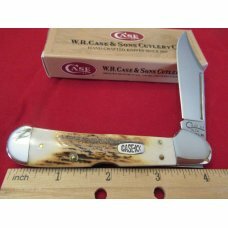 Item # 31863 : Queen City Equal End Pocket Knife 3 5/8" circa 1933-40 - Pen blade broken. 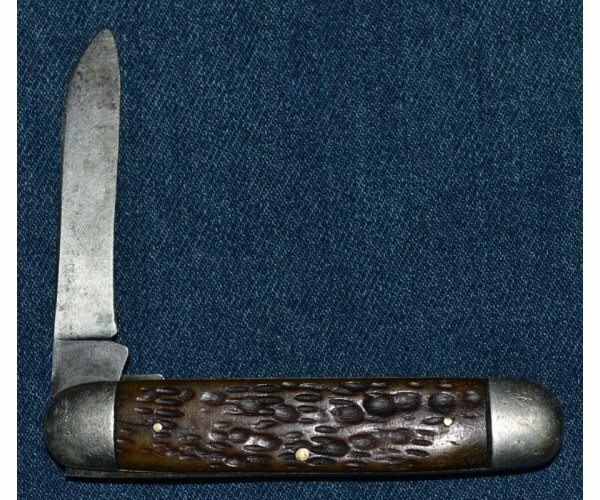 This is a 3 5/8" equal end jack knife made by Queen circa 1925-32. 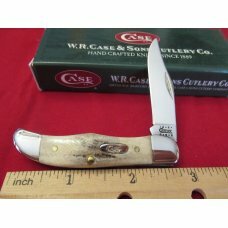 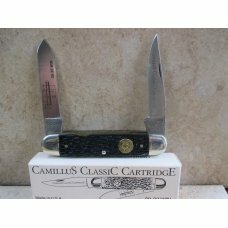 Has Rogers Bone handles that are very good for their age. 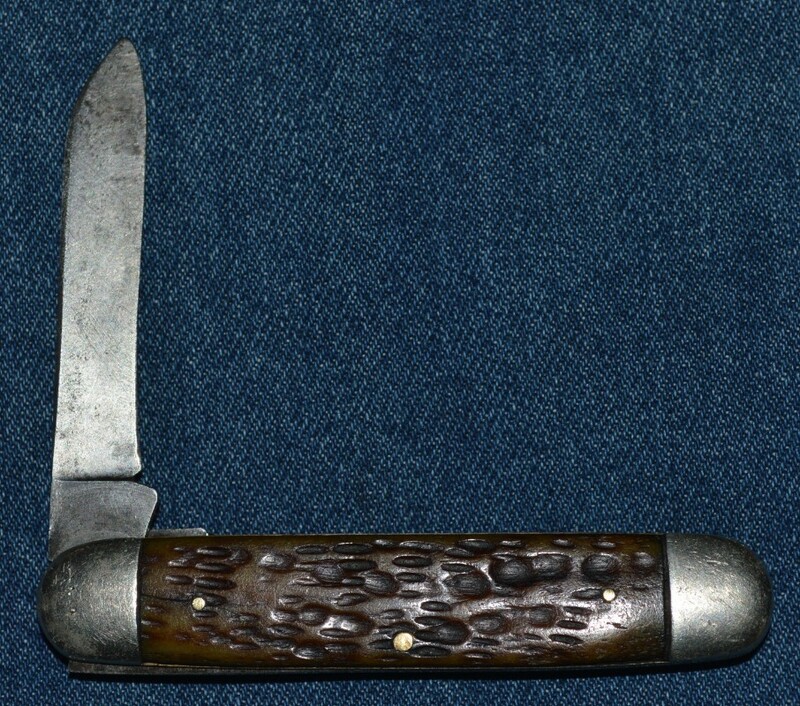 Hairline pin crack pile side, near left bolster. 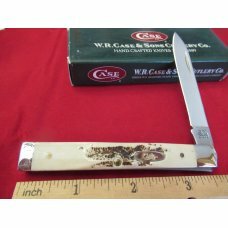 Has a propeller shield and a Queen City lower case stamp – Titusville. 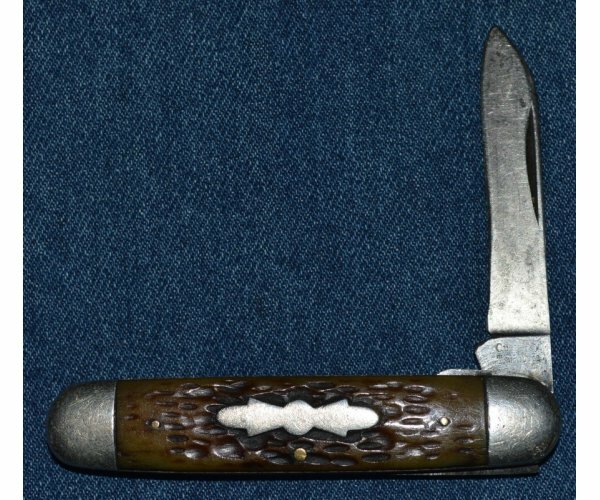 The pen blade is broken off but the main blade has a very good snap. 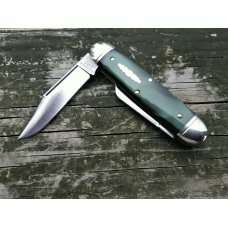 Not a bad looking knife and would make a good EDC if you don't mind having one blade. 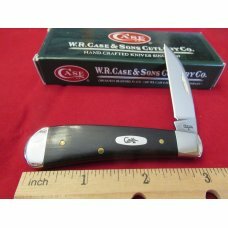 I would grade this knife as NKCA good because of the missing blade.